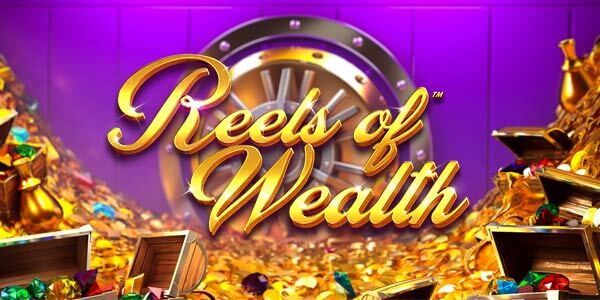 The Reels Of Wealth slot machine can be called a real treasure in the collection of Betsoft slots, where players expect a lot of interesting surprises, led by the progressive jackpots. 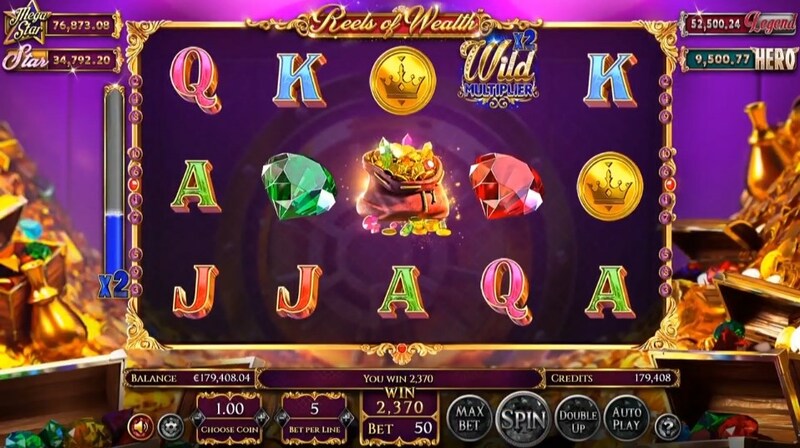 The atmosphere of wealth in the Reels Of Wealth slot machine is transmitted through images of precious stones, gold, bills and denominations of cards on drums. 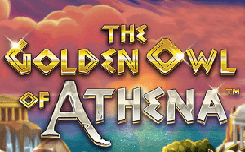 Most of them bring standard payouts along the lines of the slot, but there are also those who perform special tasks: scatter – the safe brings a win in any position; bonus – performs the activation of the free spins mode; wild – designed to replace other symbols. 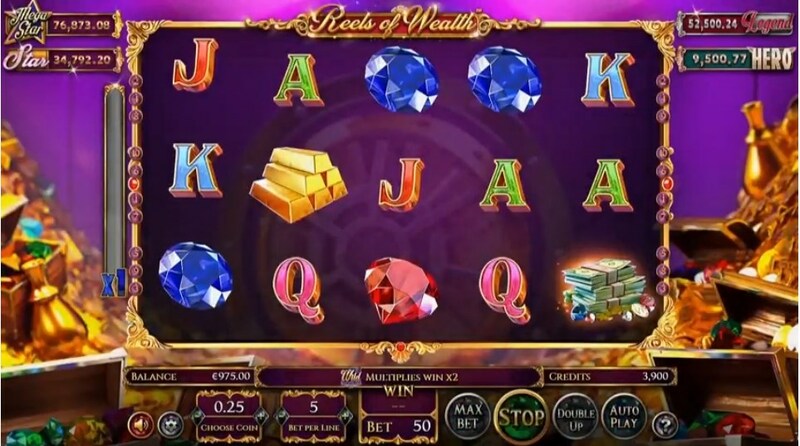 At the head of all the features of the slot machine Reels Of Wealth are progressive jackpots, which are paid in the Free spin. 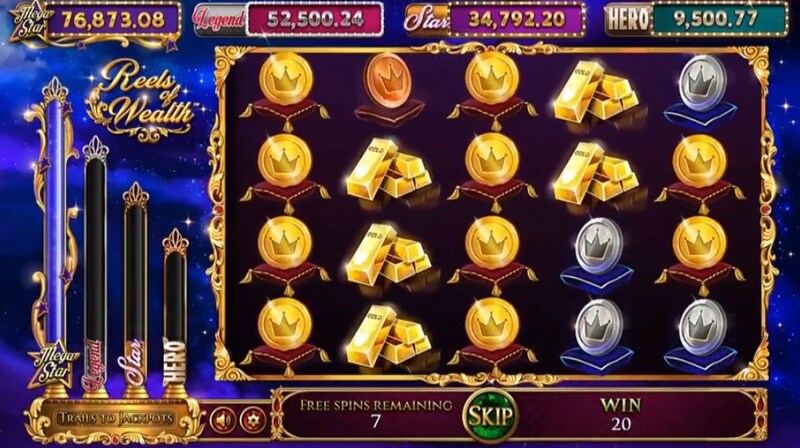 The size of the award Jackpot depends on the number of accumulated symbols MEGASTAR JACKPOT, which fill the corresponding indicators, to the left of the slot drums: Hero; Star; Legend; Mega Star. A nice addition to the main draws is the function of repeated spins, which is activated every time when a winning combination was formed on the slot field or stopped characters scatter. 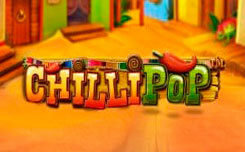 Prize multipliers go as part of the Respin rounds and increase the multiplier coefficients depending on the number of consecutive wins to the maximum x3. Another way to apply multiplication is through Wild lines, which double the payout amounts. 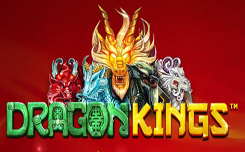 Free spin mode opens the rewards of the Reels Of Wealth slot machine. To access it, you must collect a set of 3, 4 or 5 Bonus characters. 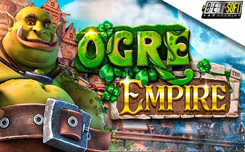 For this you will receive, 10, 15 or 25 free spins are required. 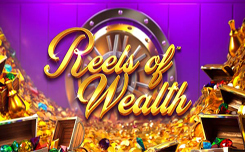 The second bonus of the slot machine Reels Of Wealth is an ordinary game for doubling, where you need to guess the side of the coin. 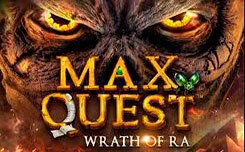 As a bet for Gamble, is suitable any payout for main rounds or small jackpots.